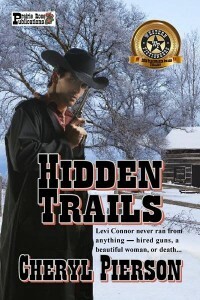 Levi Connor has never run from anything in his life, and he doesn’t intend to start now. After killing the two bandits who’d followed him into Indian Territory, he finds himself wounded and riding through a blinding February snowstorm. With no purpose ahead of him and no past to guide him, he discovers a reason to exist—the beautiful mixed-blood girl who takes him in and heals him. Valentine Reneau lives in fear that her father will find her someday in the heart of Indian Territory and force her to return to Mississippi to take her mother’s place—in every way. She knows her time has run out when a stranger shows up on her land with two hired guns—and the devil in his plans. With some unlikely help, Valentine must try to escape the slave’s fate that her mother left behind so many years before. 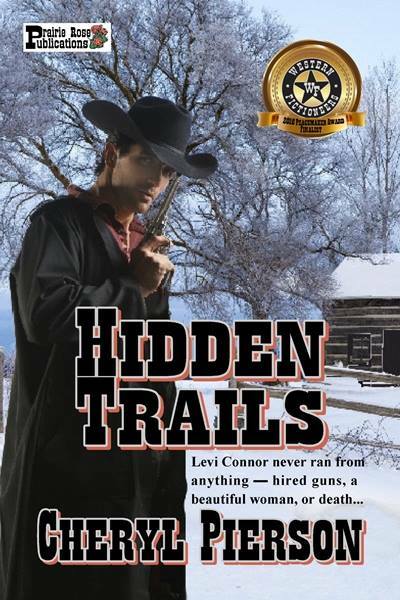 Will Levi kill for a woman he barely knows? The chips are down, the guns blaze, and everything finally comes clear along these HIDDEN TRAILS…but who’ll be left alive?